Happy 8 Cafe (哈比咖啡馆) is our Ipoh Trip’s yam cha place after our dinner at Restoran Wah Xing. 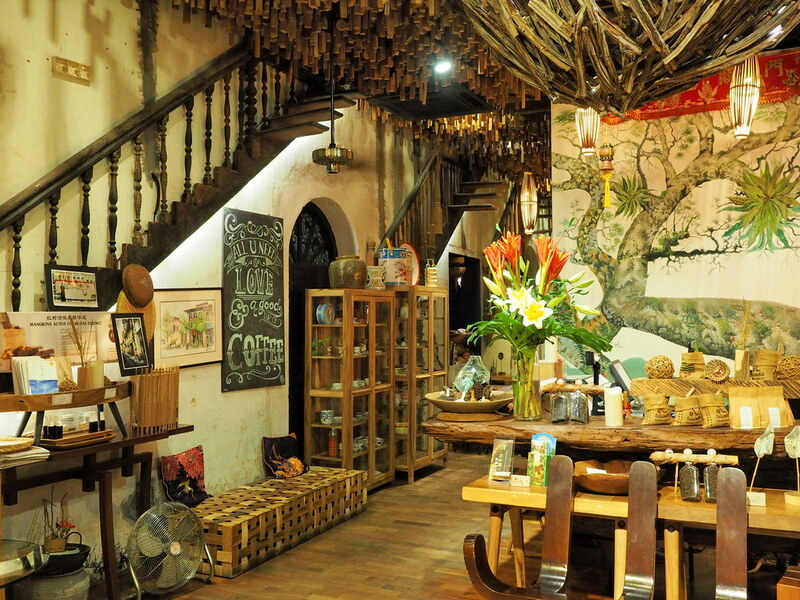 This cafe is actually operating in Happy 8 Retreat Boutique Hotel. We did try to book this hotel for our Ipoh Trip but the rooms are fully booked. Perhaps, next time if we are visiting Ipoh again since Ipoh has many nice places and yummy food for anyone to visit over and over again. Anyway, we managed to come here to experience the Happy 8 Cafe ourselves. This cafe is very uniquely designed with a lot of nature’s elements such as plants, woods and water. I feel very relaxed the moment I step into this cafe. Reads on to find out more. 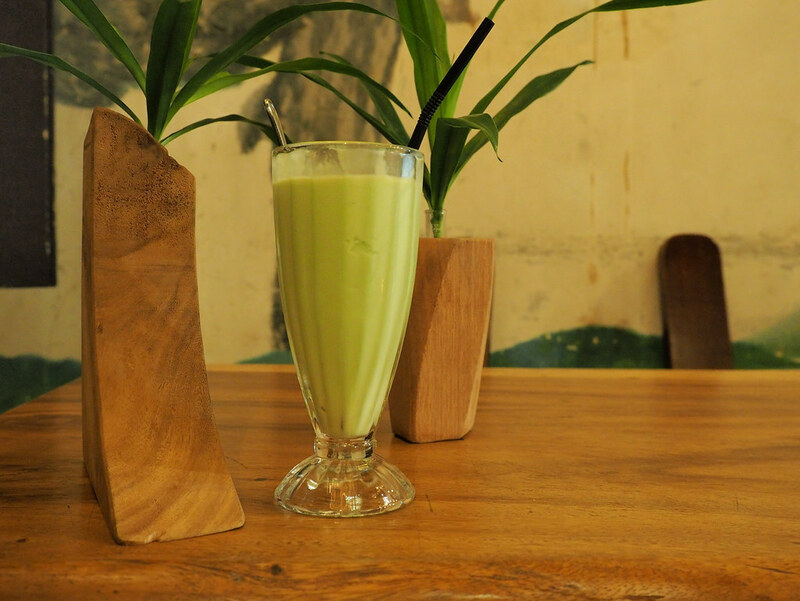 Since we already have our fulfilling dinner, I ordered a glass of Avocado Fruity Blend only at Happy 8 Cafe. Avocado is always my favorite choice of fruit juice. This glass of Avocado Fruity Blend is RM 12. You can choose to add milk or yogurt for RM 3 or honey for RM 1. Mint and ginger extract also can but I’m not too sure about the taste later. Laupoh with her cup of Hot Rich Chocolate. I took a sip, it is really rich in chocolate. The chocolate art is also very nice. 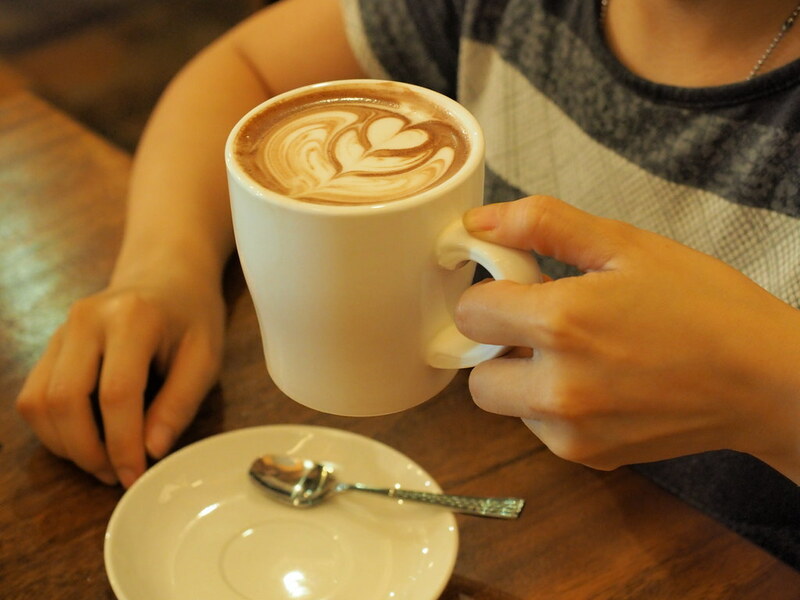 Shot another photo of the Happy 8 Cafe’s Hot Rich Chocolate. Most of the stuff here are made from wood such as this table and the table’s number. 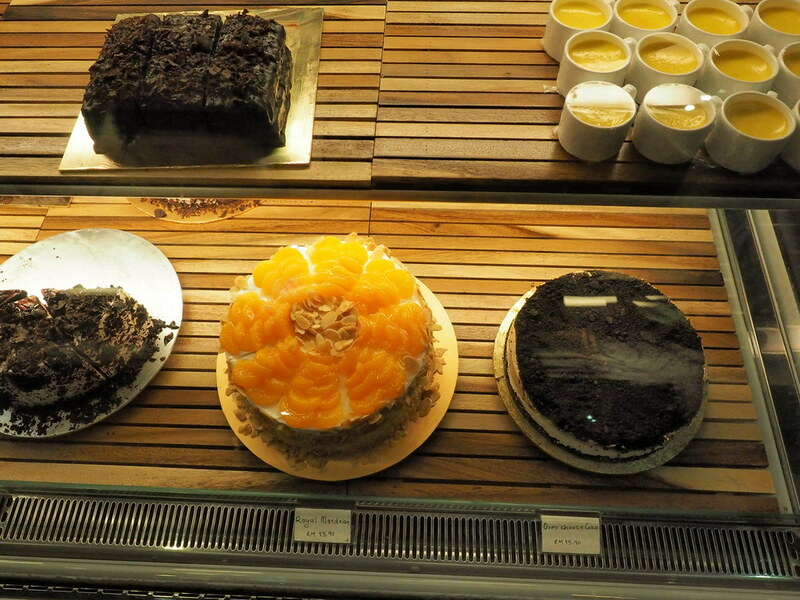 Some of the sweet looking desserts at the cafe, Royal Mandarin cake and Oreo Cheese Cake. We didn’t try any since we are still full. Even the trays for the cake here are also wooden. Very nice wall and ceiling at the cafe. Nice spot for photography and Instagramming. 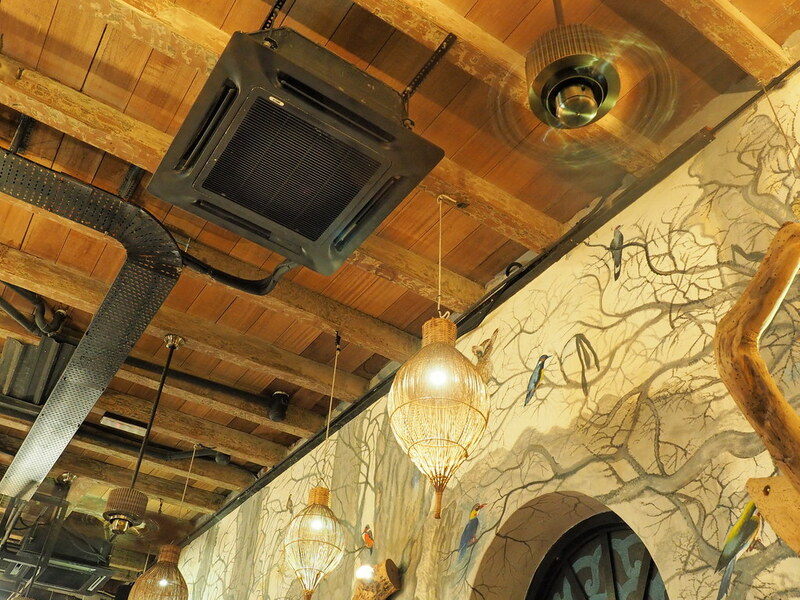 The air-con and steel part are painted in dark to match the design. 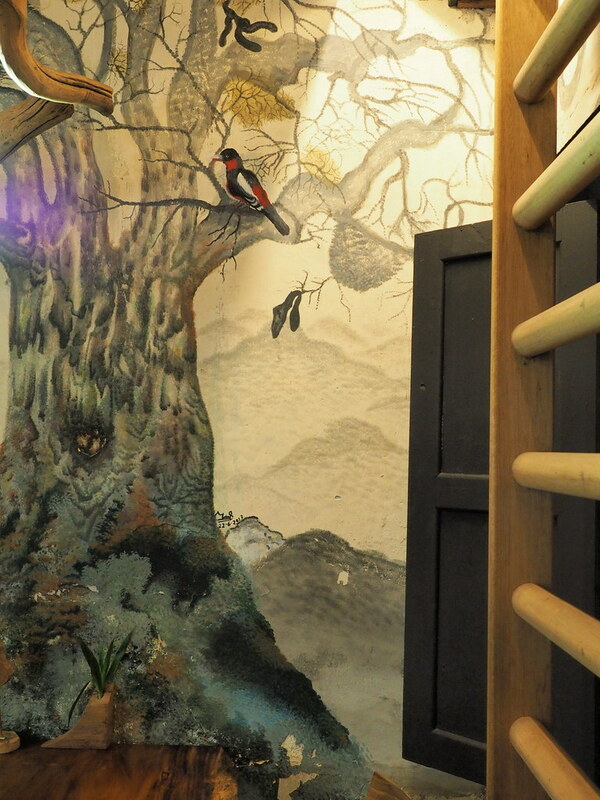 A lovely drawing of tree and birds on the wall. Make us feel like having a drink in the jungle. 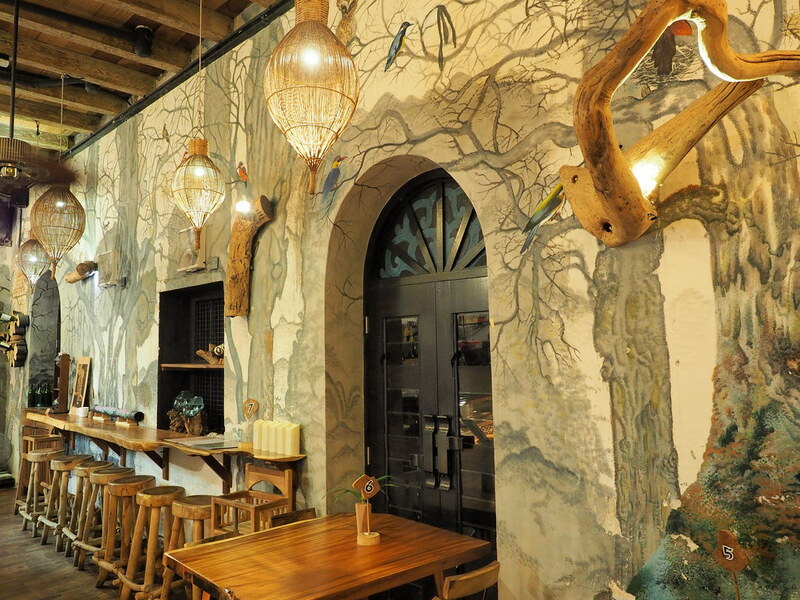 The wall in the cafe is full of drawing and a lot of wooden materials are used in the decoration and furniture. A very calming place indeed. Another side of the wall in Happy 8 Cafe. Häagen-Dazs ice-cream is also available here. 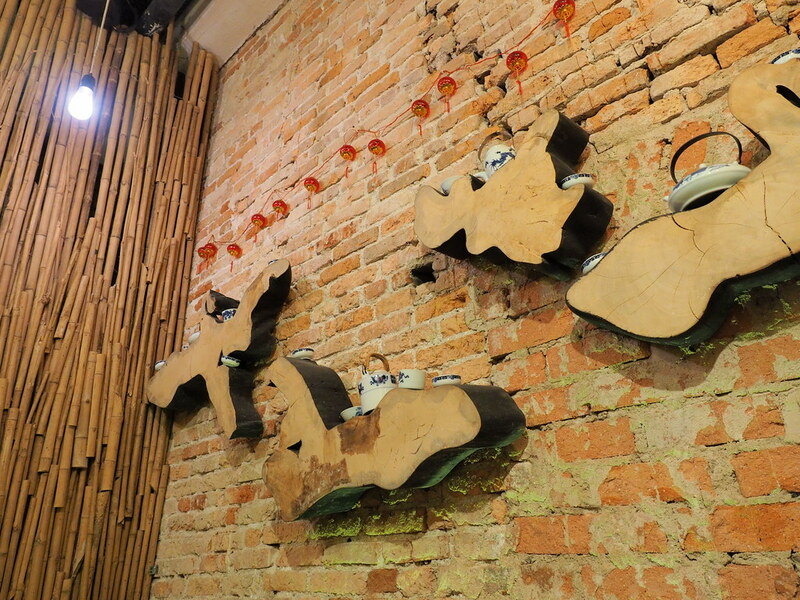 Pieces of woods on the wall are used to display some classic pots and cups. 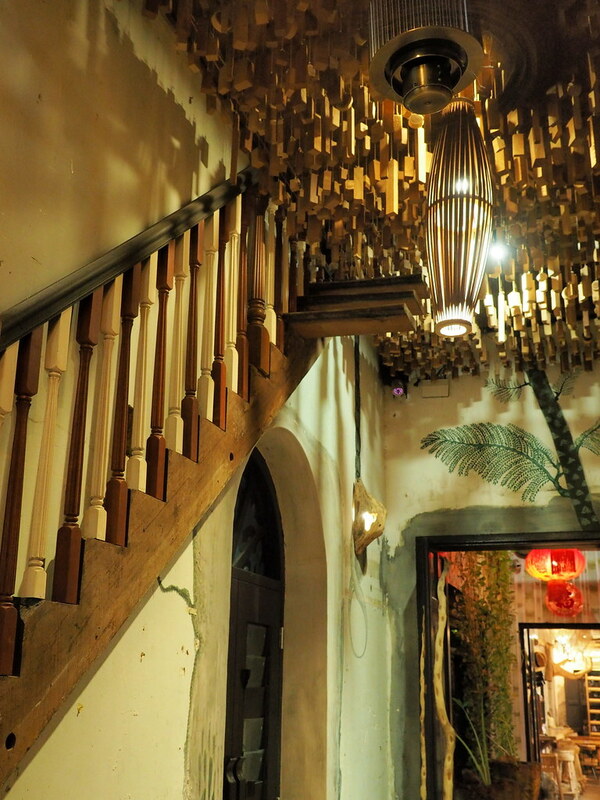 Very beautiful 3D decoration on the wall which is a wooden stair. 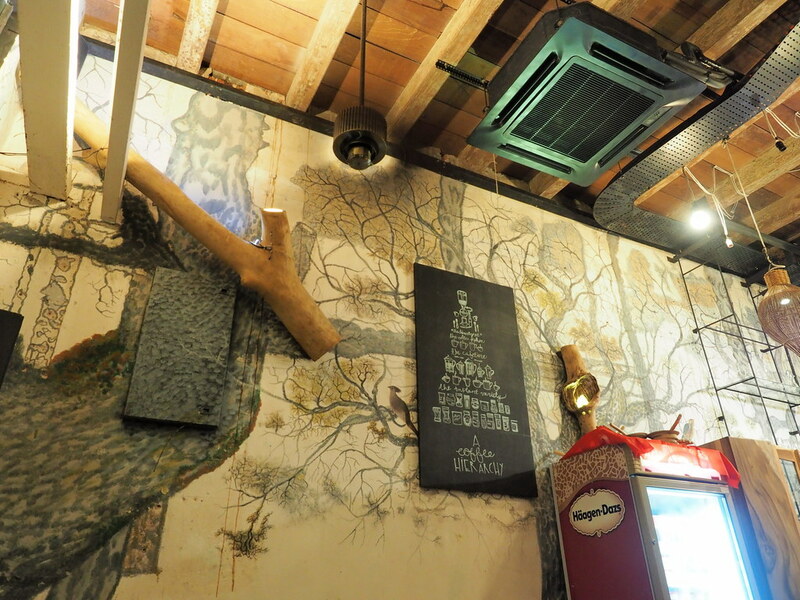 The small wooden blocks hanging from the ceiling represent the tree leaves, I think. The nice lobby of the Happy 8 Retreat. I guess their room are very nice too, by looking at the lobby. The entrance view from the outside. Covered by many plants and trees. Feels like a nature resort in the jungle. 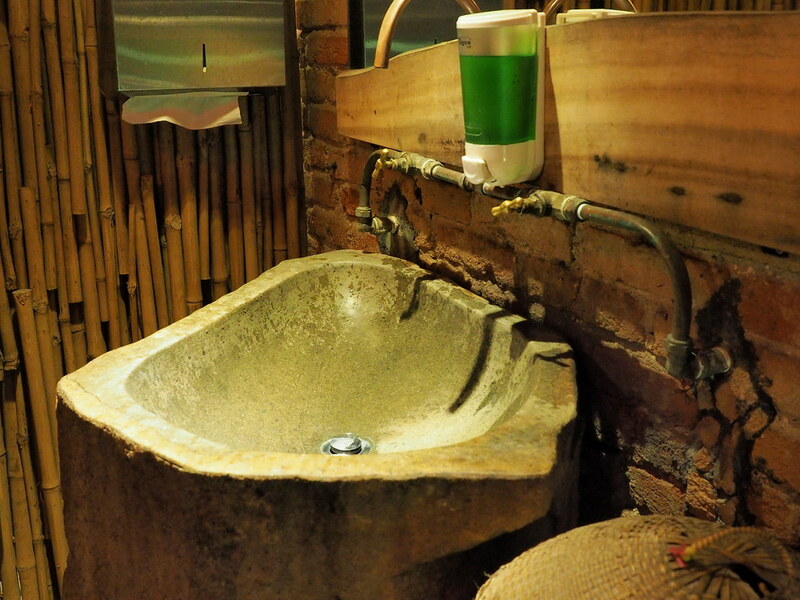 A cozy place for you to wash hand or face in the cafe. 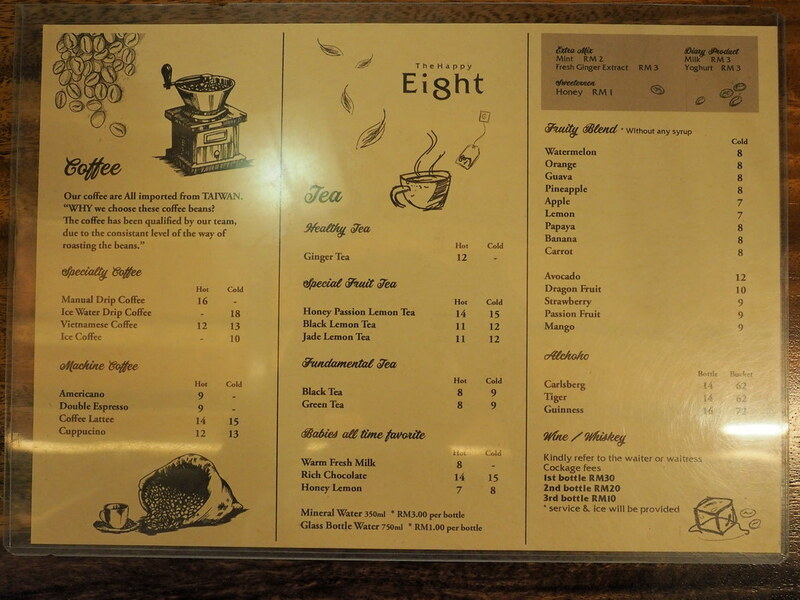 The Happy 8 Cafe beverages menu. Coffee, tea and fruity blend. Specialty Coffees are also available here if you are into coffees. For the fruity blend, you can choose to add mint, fresh ginger extract, honey, milk or yogurt. Alcoholic drinks are also available such as beers and wines. The Happy 8 Cafe main courses menu, mostly are western food. Price ranges from RM 18 – RM 40. 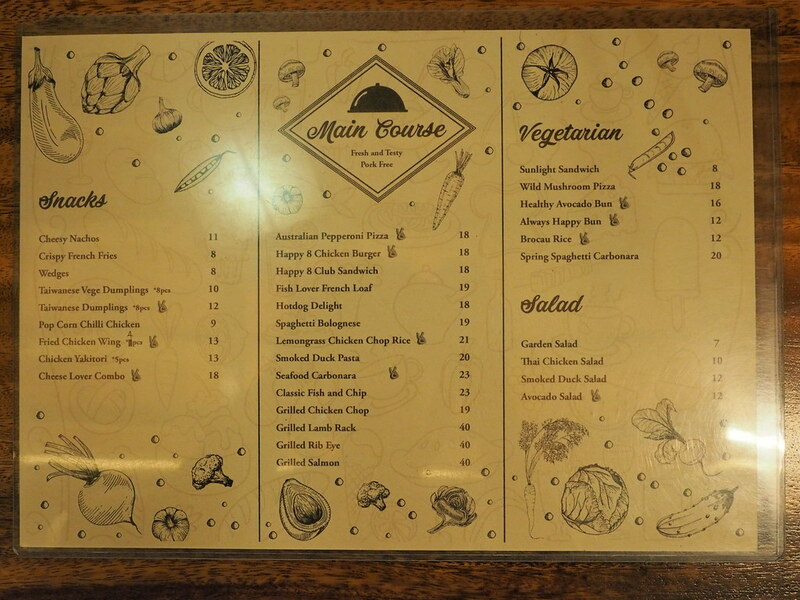 Vegetarian menu is also available. 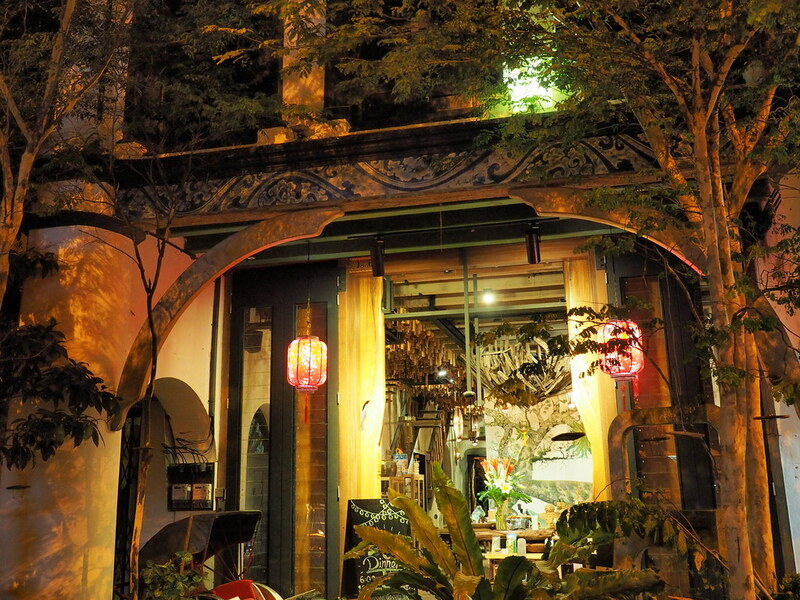 If you are cafe hopping in Ipoh, or looking for a place to spend the night in a nice cozy place before hitting the bed, Happy 8 cafe is definitely a good choice. 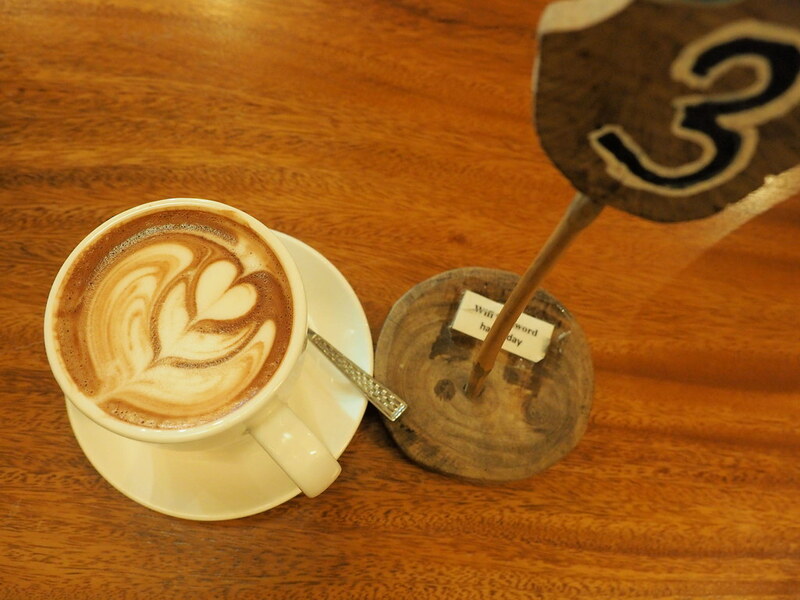 There are four outlets of Happy 8 Cafe, the one we went to is the at Ipoh Old Town.